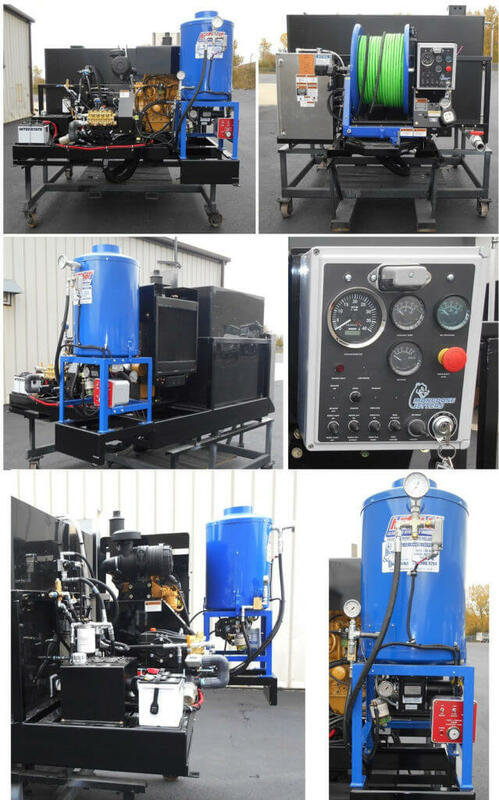 300 gallon Duraprolene water tank, telescopic hydraulic hose reel with 500 feet of high pressure jetting hose and full function wireless remote control system. 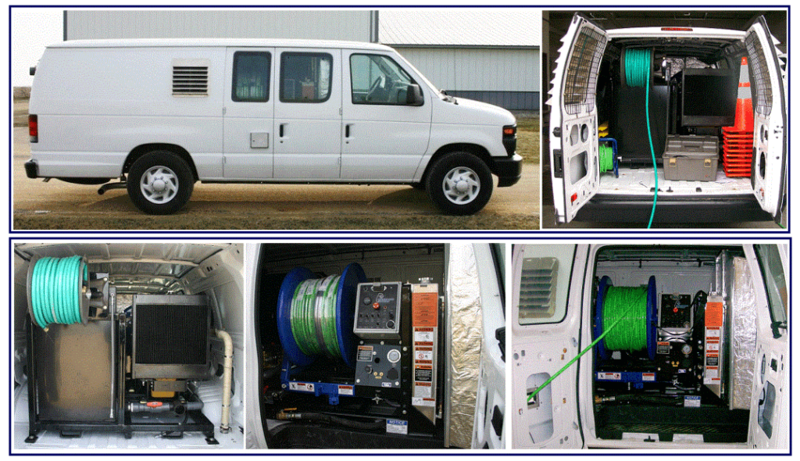 This unit was manufactured for installation within a box truck by the customer. 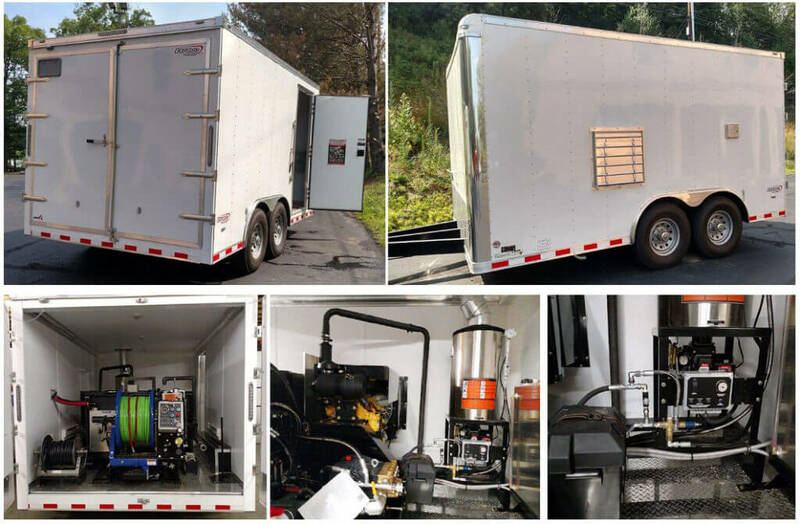 300 gallon Duraprolene water tank, 500 feet of high pressure jet hose, 400,000 BTU diesel fuel water boiler, variable temperature control and No-Flow safety shutdown. 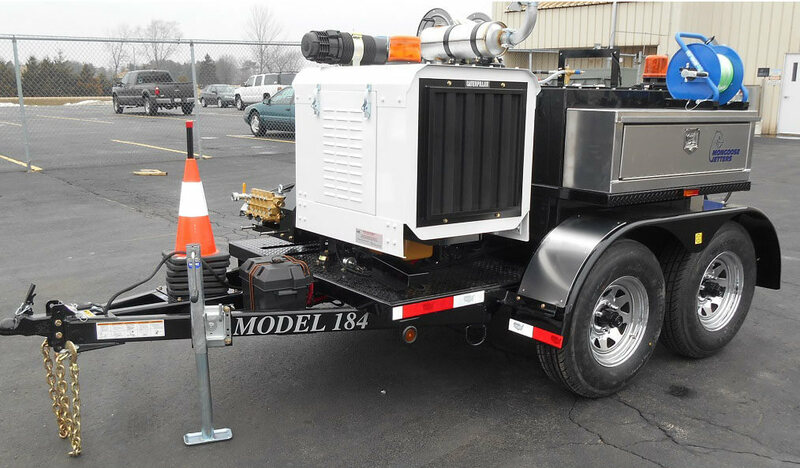 This unit is shown on an assembly skid, where the end user can mount in an open truck or within an enclosed truck body. 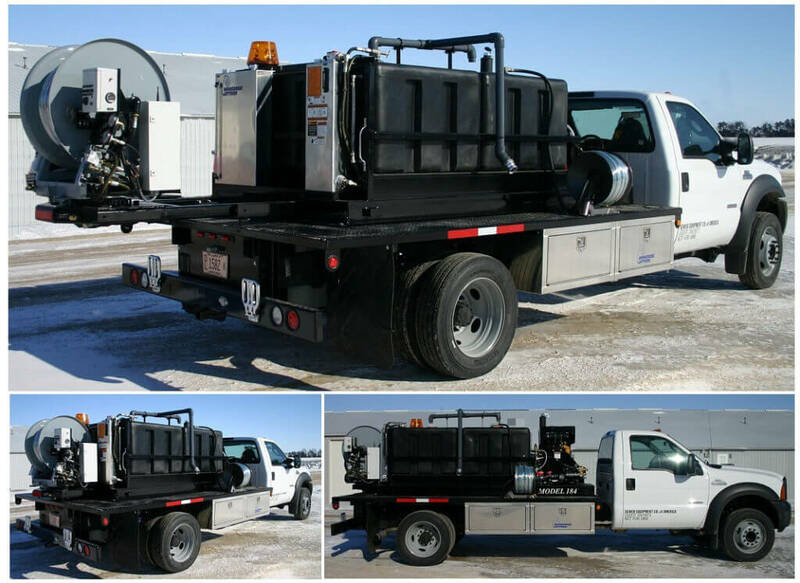 If mounted in an enclosed truck, engine exhaust and water boiler must have direct ventilation to outside of the truck body. 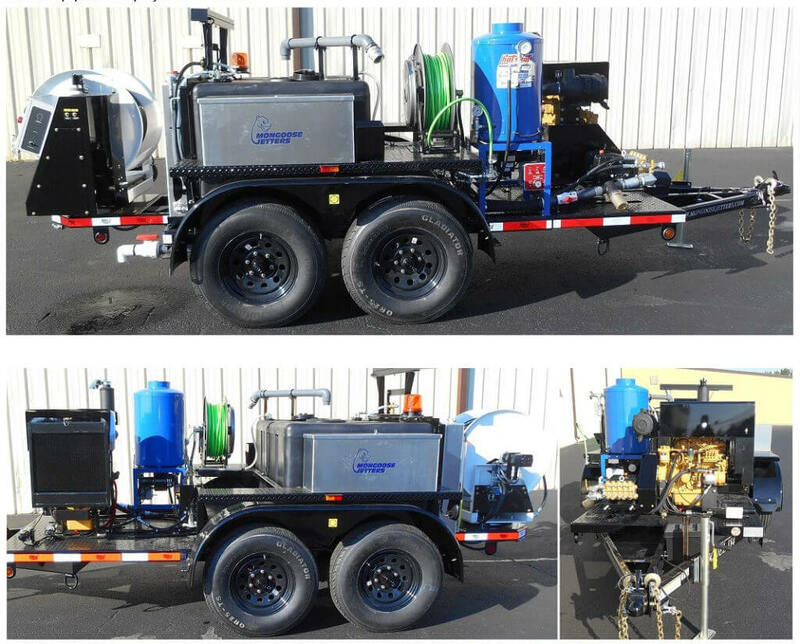 Both engine exhaust and boiler exhaust ports through the truck body must have air gaps to reduce heat transfer. 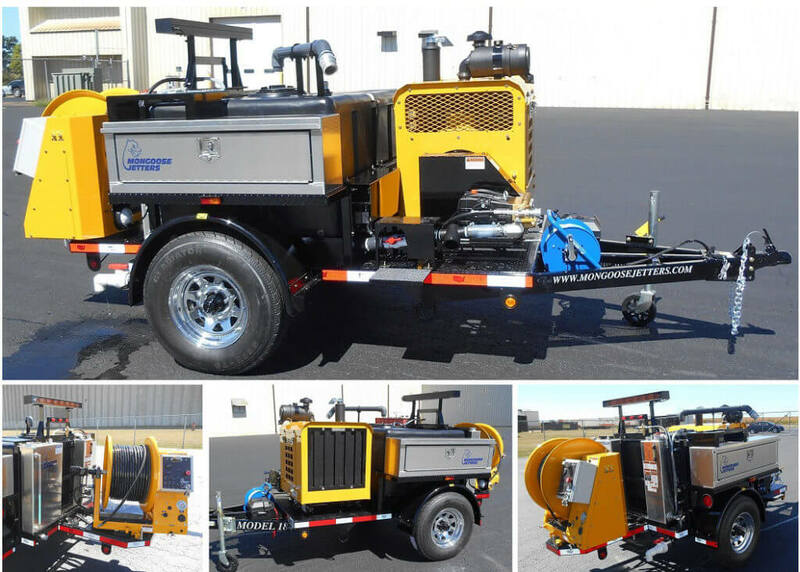 Diesel fuel connections for engine and water boiler can be made to truck chassis or to an independent fuel tank. 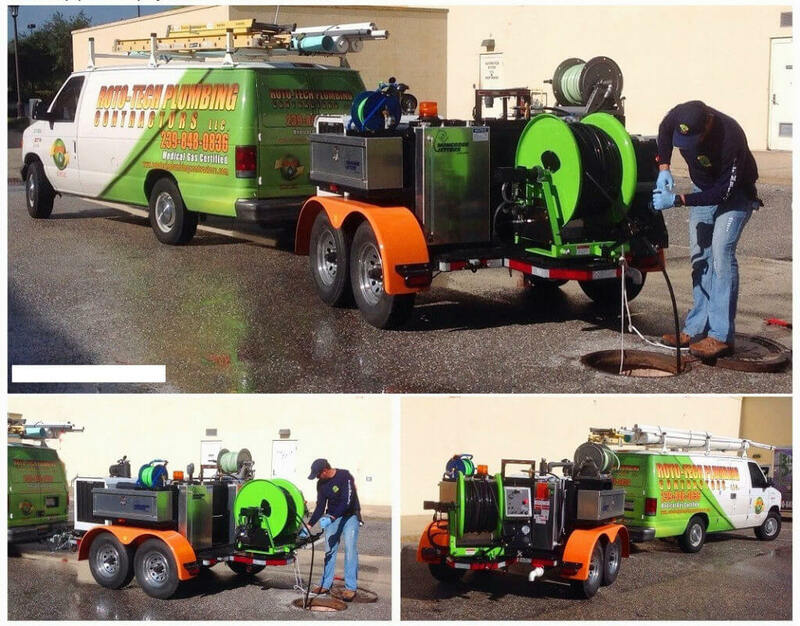 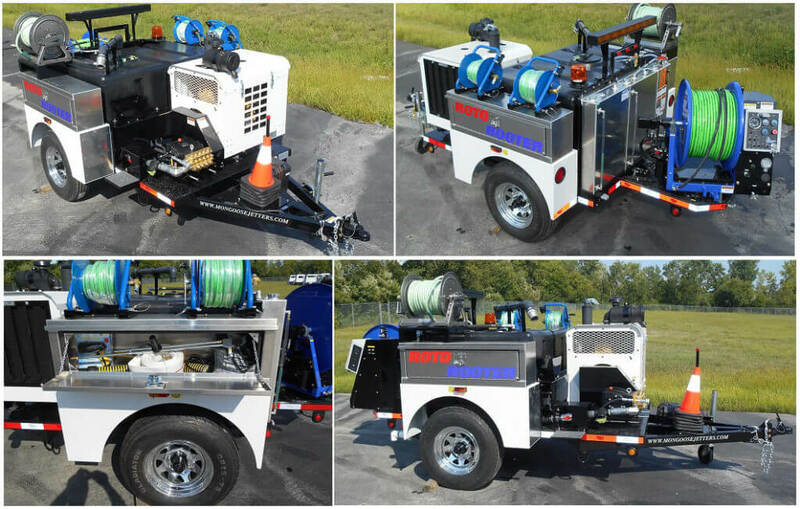 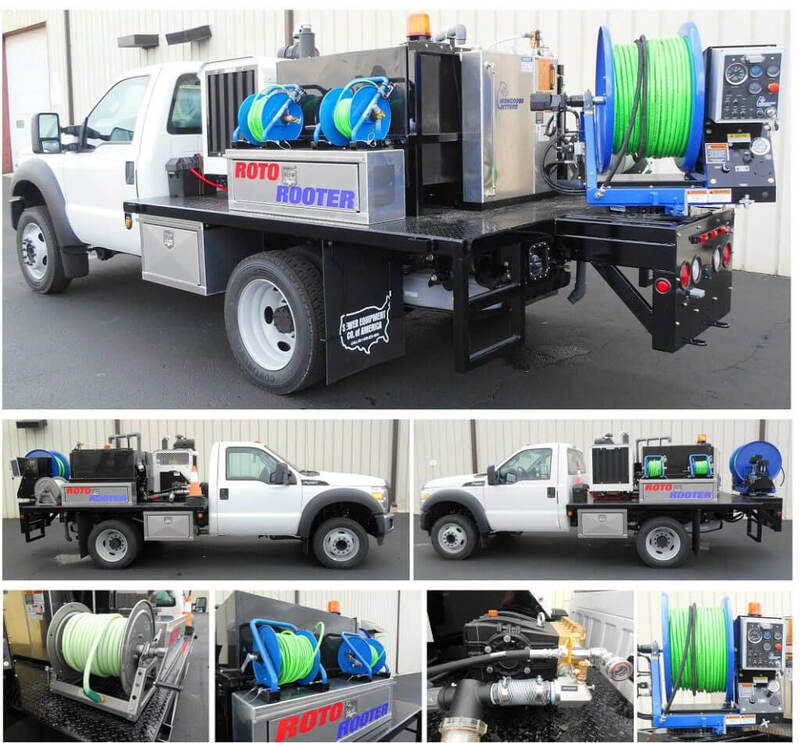 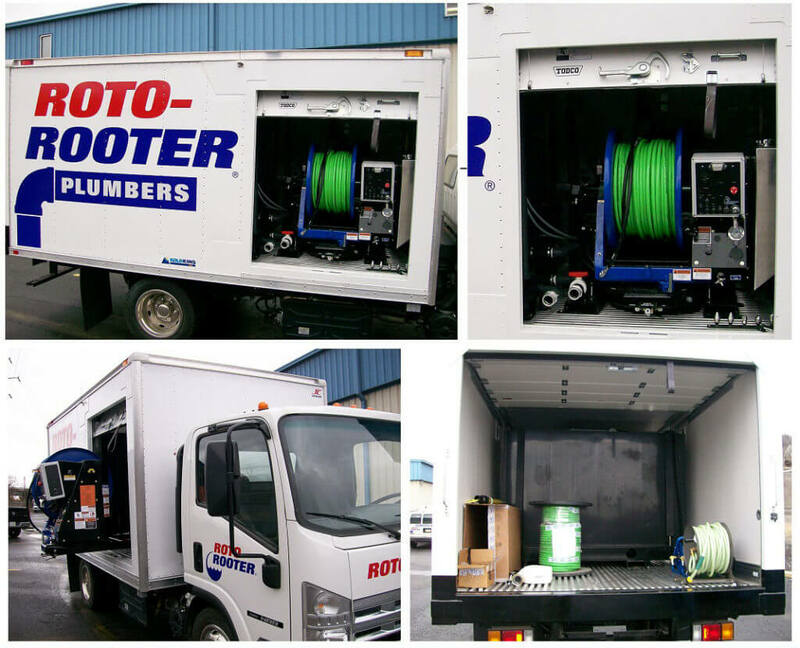 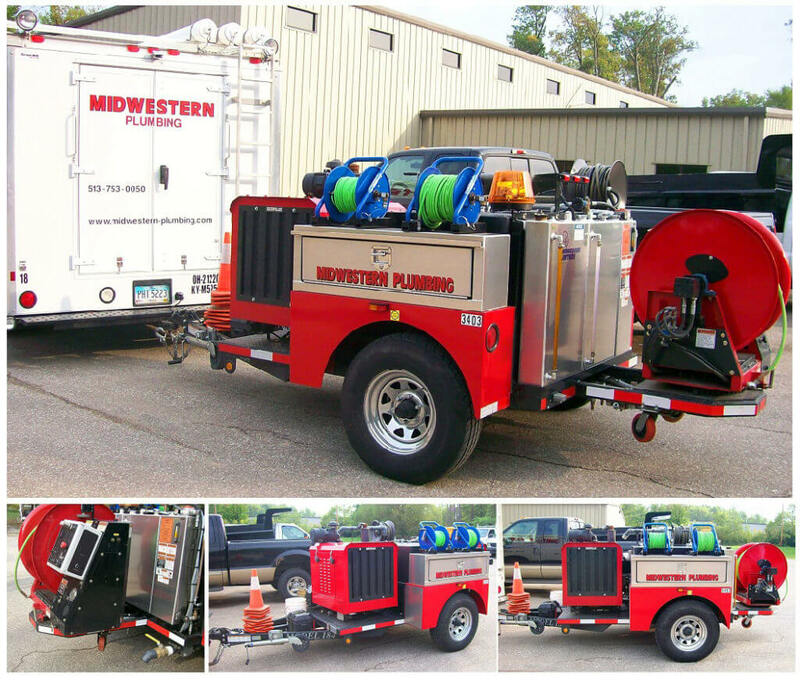 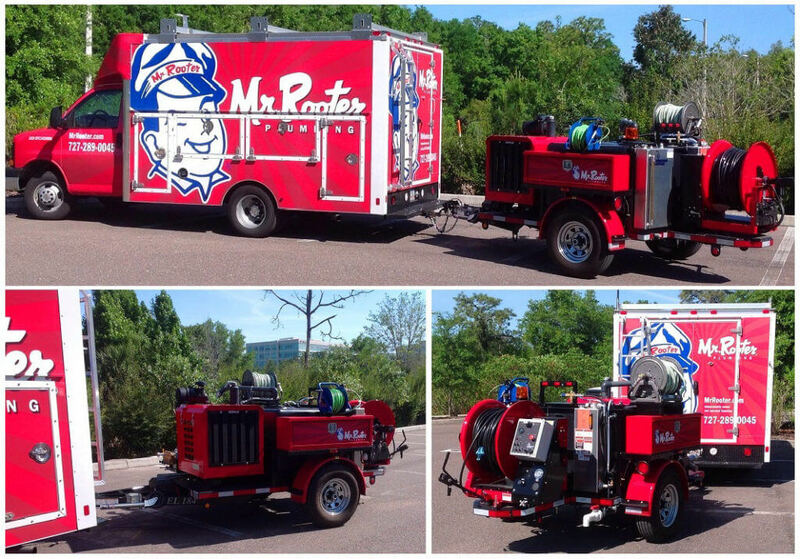 Open truck mount with 350 gallon Duraprolene water tank, 500 feet of high pressure jetting hose, two small diameter hose cleaning kits, full function wireless remote control system, inlet water fill hose reel and two under-body aluminum toolboxes. 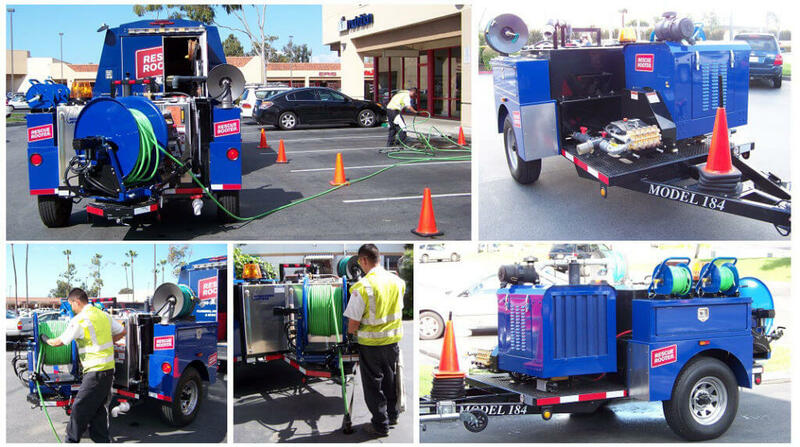 Enclosed, pull behind trailer with 300 gallon water capacity, 400,000 BTU hot water boiler, 500 feet of high pressure jetting hose and wireless remote control system. 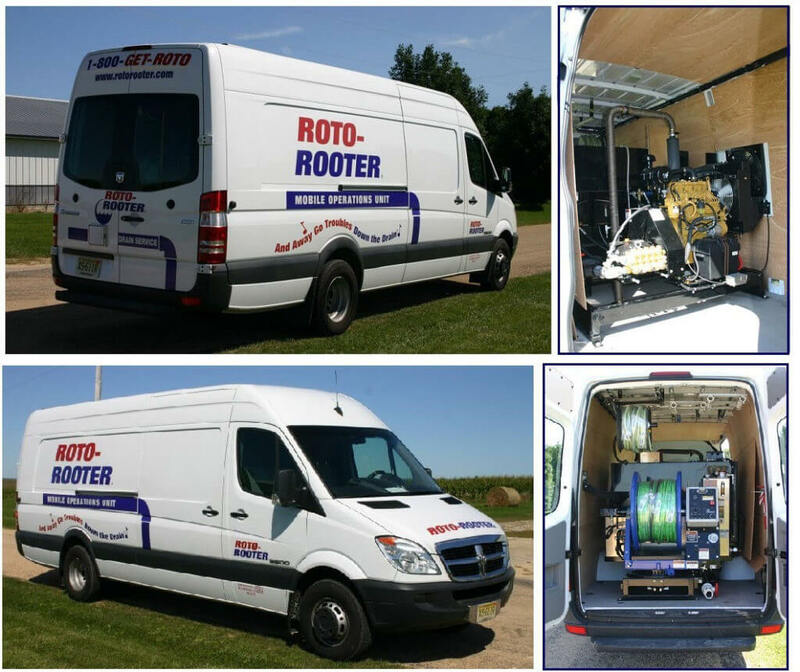 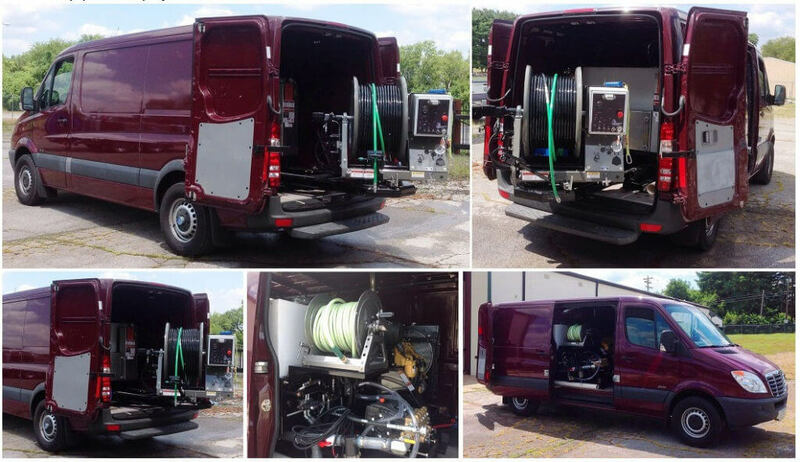 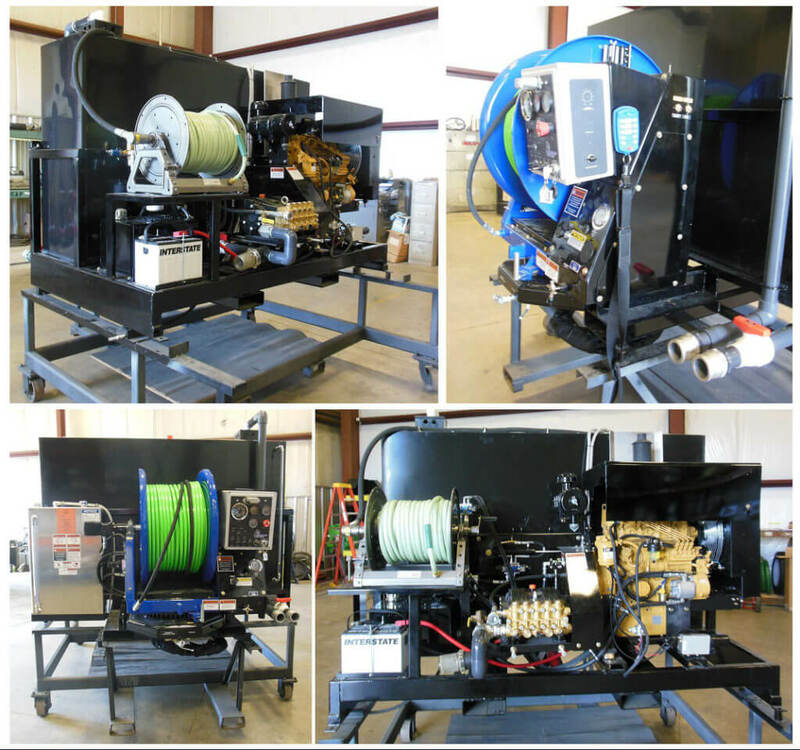 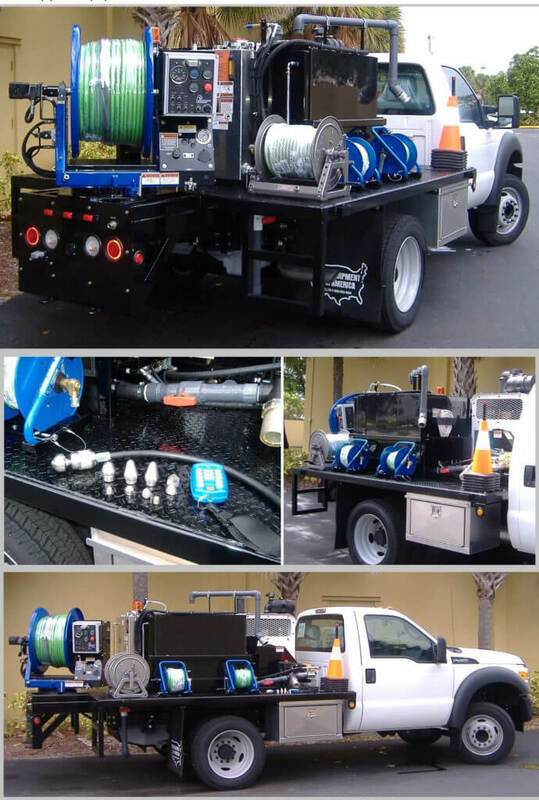 Open truck mount with 350 gallon Duraprolene water tank, 500 feet of high pressure jetting hose, two small diameter hose cleaning kits, full function wireless remote control system, mounted inlet water fill hose reel and aluminum toolboxes. 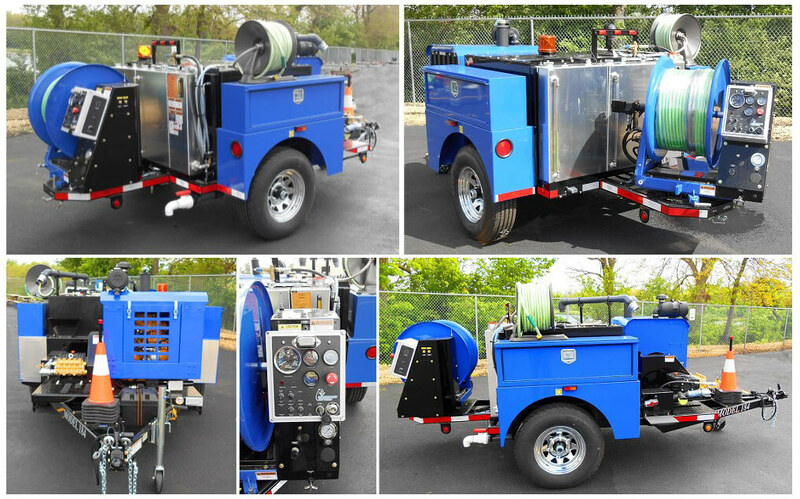 200 gallon water tank capacity with telescopic hydraulic hose reel with 500 feet of jet hose. 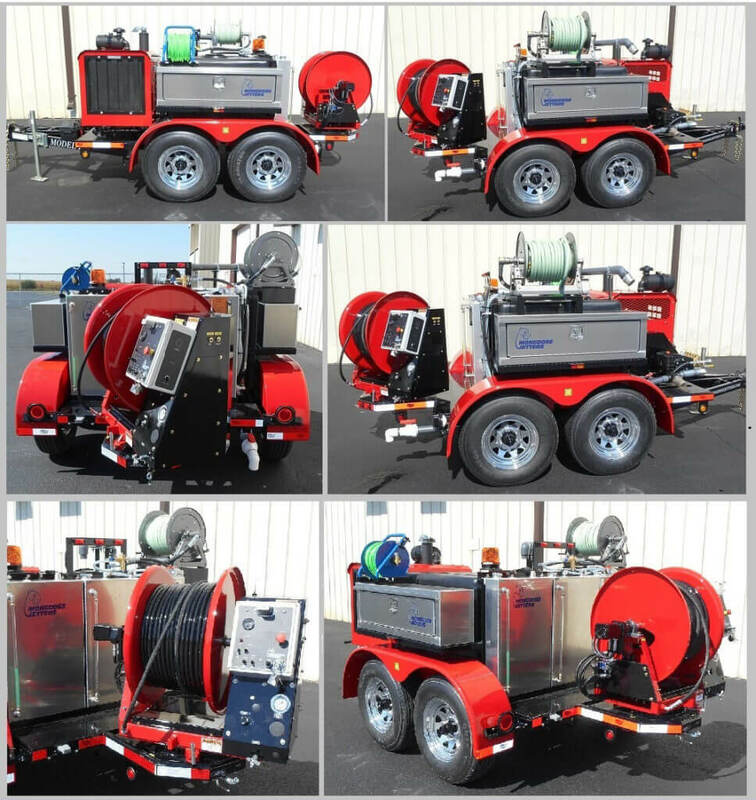 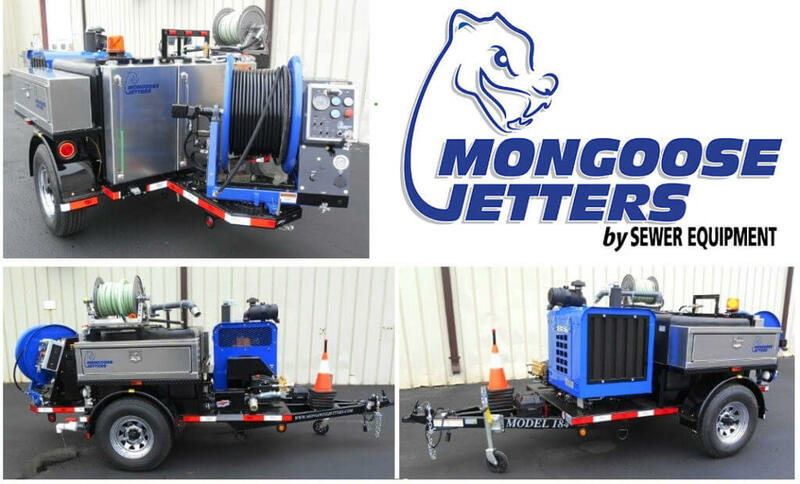 Open truck mount with 600 gallon water capacity, telescopic hose reel with 500 feet of high pressure jet hose and full function wireless remote control system. 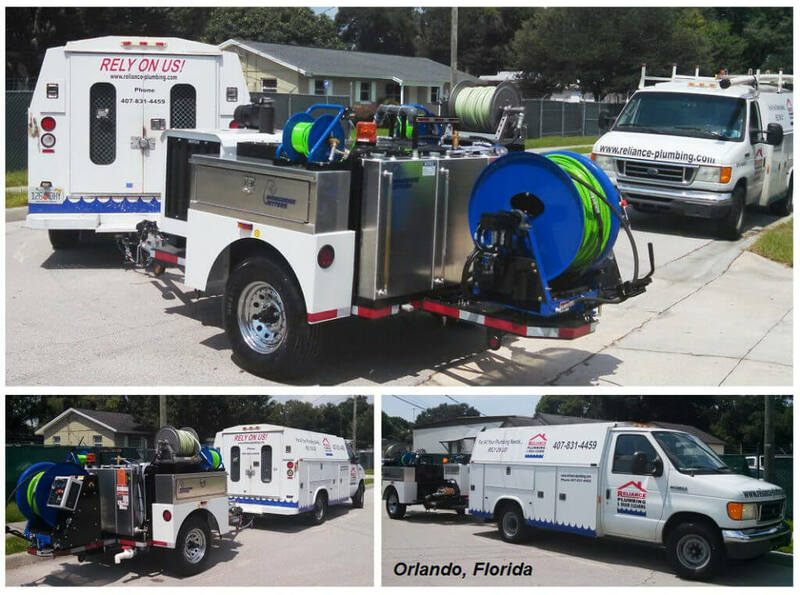 300 gallon water capacity, side access door with steps, telescopic hydraulic hose reel with 500 feet of high pressure jetting hose, full function wireless remote control system, 400,000 BTU water boiler, enclosed & insulated truck body and standard NEMA 4 rated control panel. 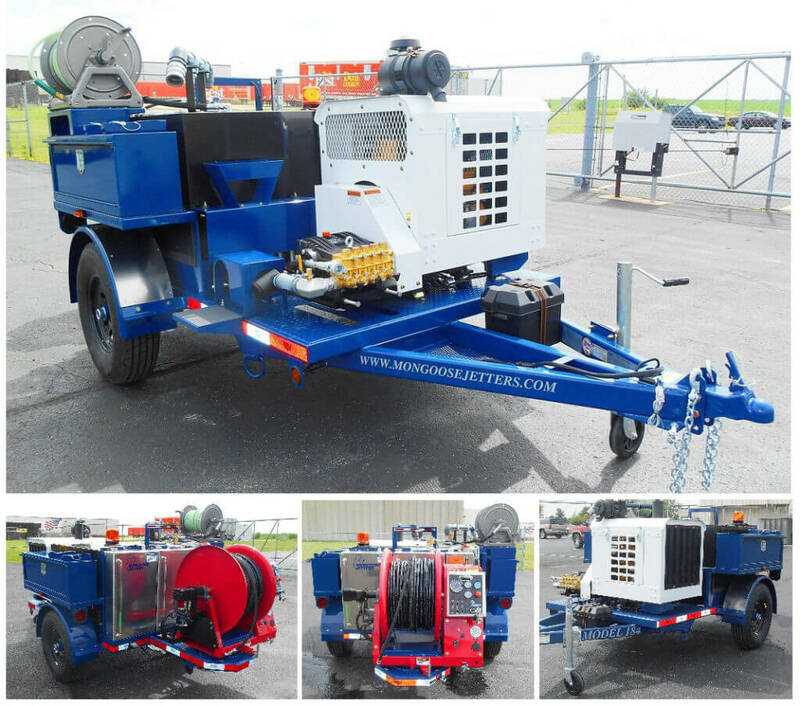 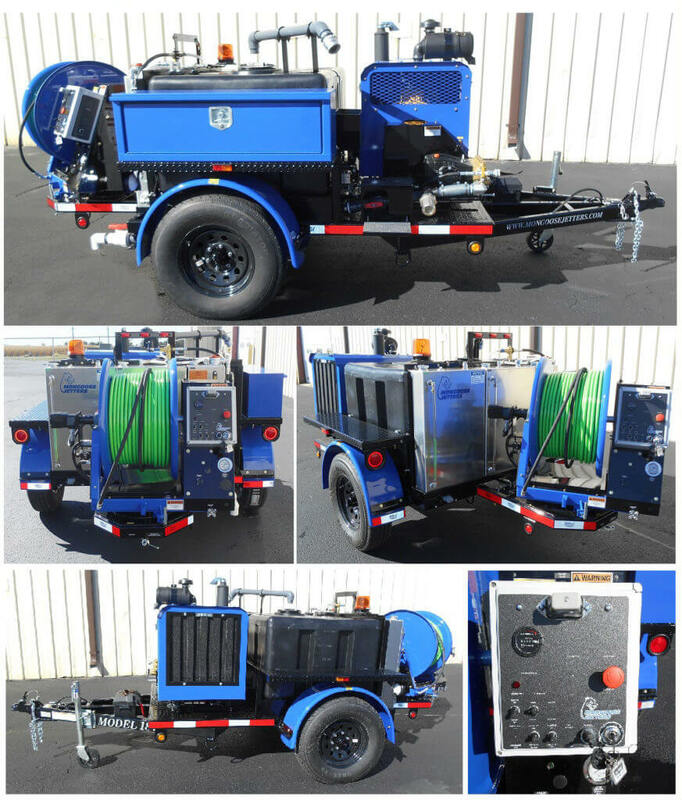 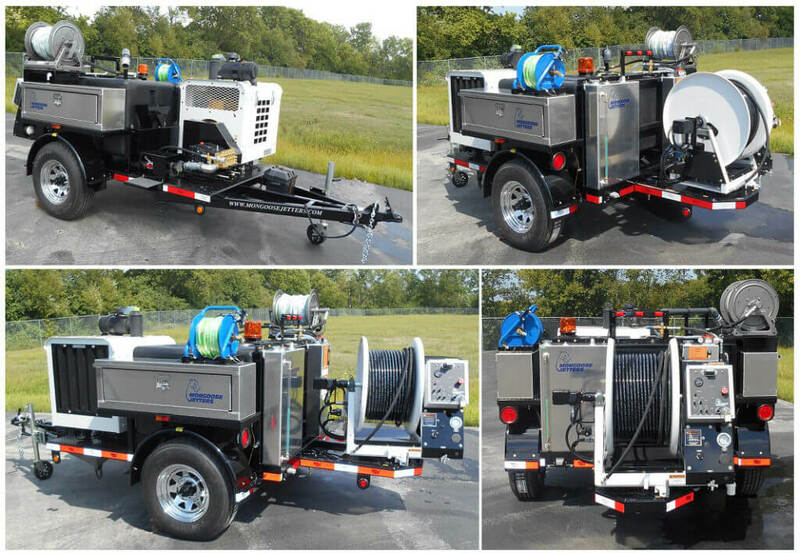 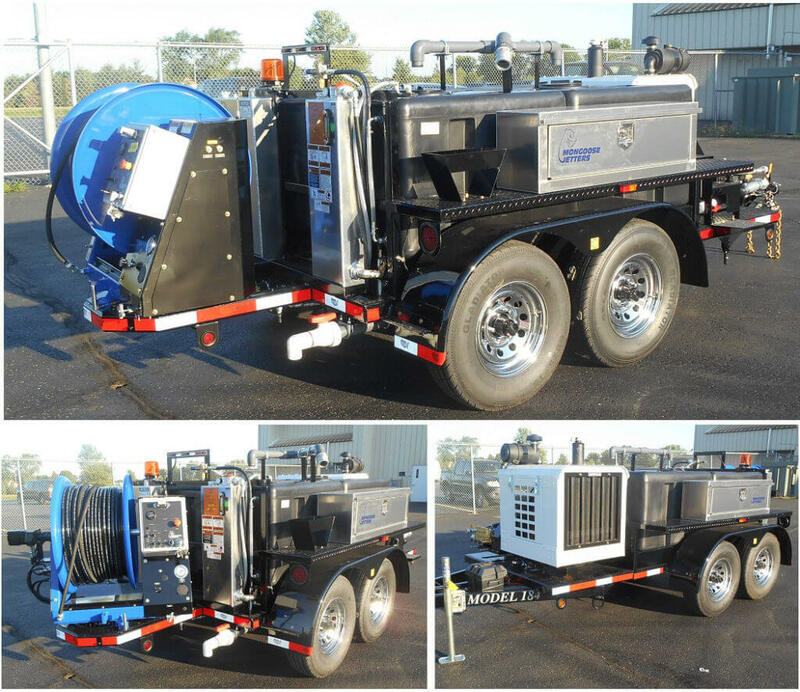 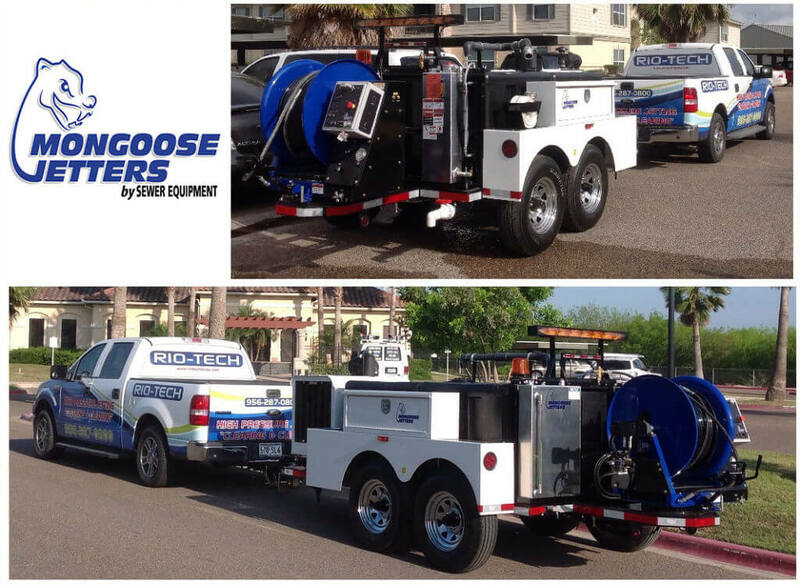 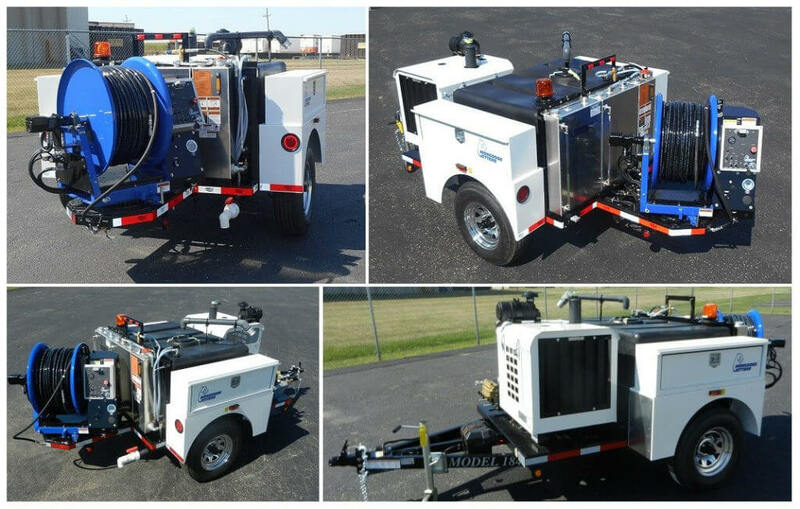 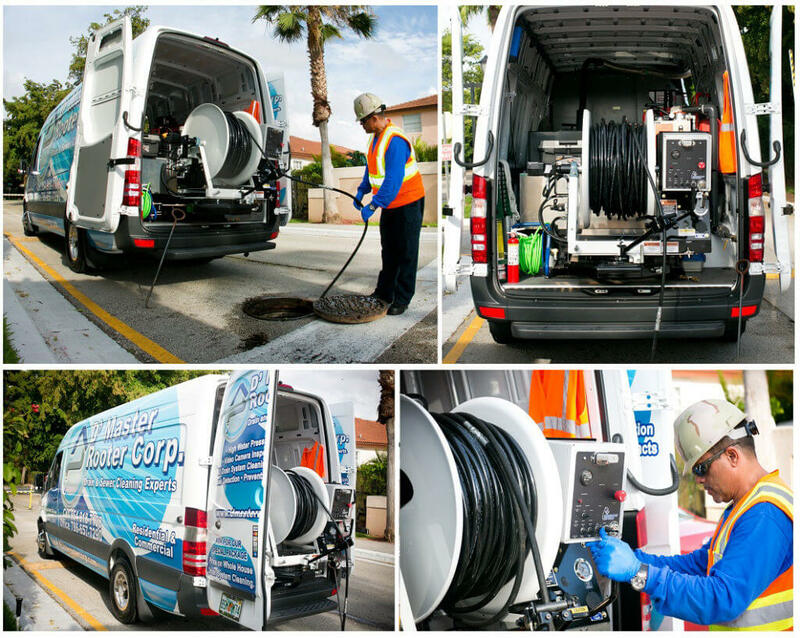 300 gallon water capacity mounted within an enclosed cab-over truck, insulated & heated truck body, telescopic hydraulic hose reel with 500 feet of high pressure jetting hose and wireless remote control system.